Are You Really Having Any Fun? We spent much of the time talking about Ted’s travels around the United States on his bicycle, but one of the most interesting things that Ted said was that he did his bike trip just to have fun. And he continued by saying that his life now is very much about having fun. He stated that he believed we (as human beings) simply need more fun in our lives. All this talk of fun really got me thinking about my own life and my experiences with bicycle travel. It also got me thinking about the reasons that many people take a bike trip in the first place. Rather than go into all the details as to why people decide to make a tour by bike, I want to concentrate on one particular kind of traveling cyclist – the person who cares about distance and distance only. For most people traveling by bike, the real purpose for the ride is to see the world, experience something new, and have fun all at the same time. But for a few people out there, they are purely interested in covering the most distance in the shortest amount of time as possible. For me personally, I understand this mentality to a certain extent. On many of my tours I covered a great deal of ground in a short amount of time… and if I had known better I would have slowed down, experienced more things along the way, and simply had more fun. What I’m trying to say here is that the goal of your bike trip should not be to cover the greatest deal of ground in the most time possible. There is a time for this sort of thing, but if you really want to have FUN along the way, this is not the best way to travel. If fun is what you are looking for, then I suggest that you slow down and smell the roses (as they say). 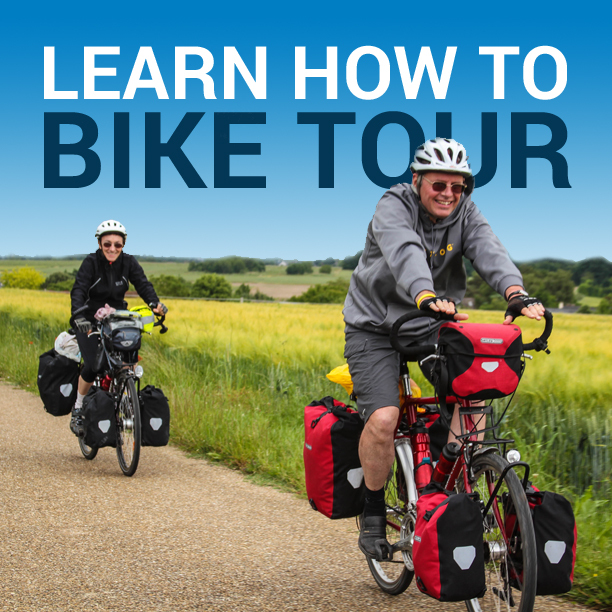 For many people, a tour by bike is going to be a once in a lifetime thing. If this is the case, the last thing you want to do is get on that bike, overexert yourself, push for maximum distances, and have little or no fun along the way. Have fun on your bike trip and the experience as a whole will be that much more enjoyable! This entry was posted in Bicycle Touring Pro Articles, Featured How-To Articles, Shorts and tagged are you having fun, bicycle touring, bicycle touring fun, bicycle travel fun, bike tour, darren alff, north american odyssey, Ted Schredd, The Cycling Adventures Of Coconut Head.